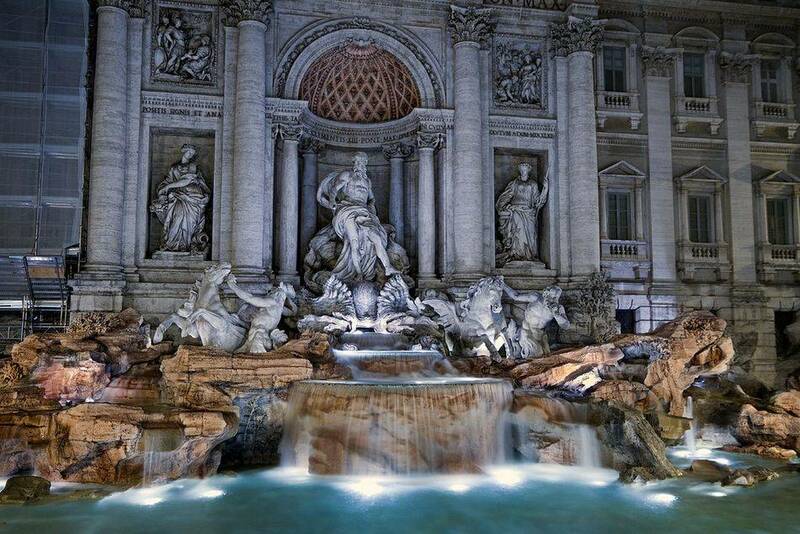 Not content with wowing the catwalks each season, the world renowned fashion house, Fendi, has been spending a not insubstantial amount in revitalising the world famous Trevi Fountain, situated in Rome. 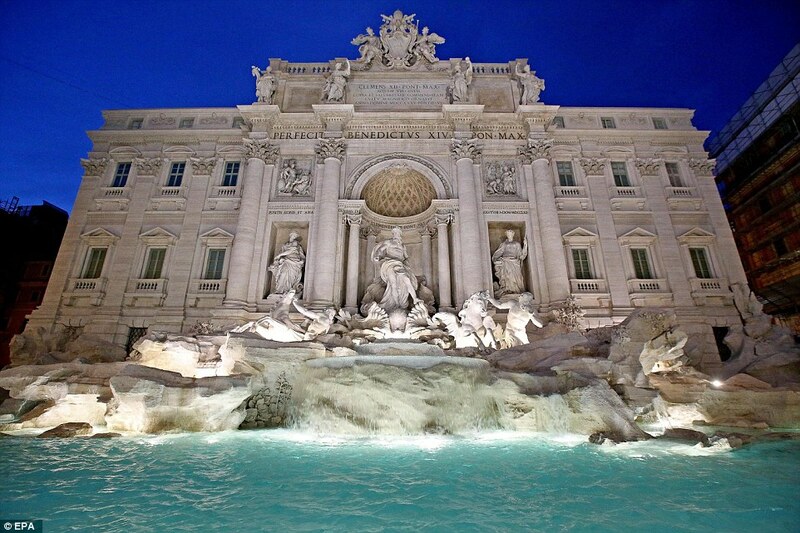 A popular background image for many movies, with the most famous undoubtedly being Frederico Fellini’s “La Dolce Vita” with its unforgettable scene where Anita Ekberg wades through the fountain. Unfortunately over the passing years, the stunning fountain has succumbed to the elements and was a shadow of its former self, with parts of it even crumbling and falling to the ground. 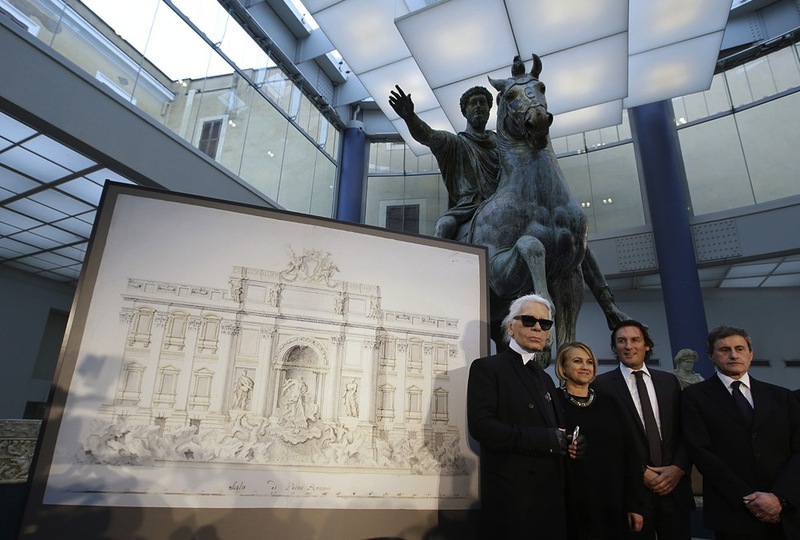 But Fendi, under the helm of Pietro Beccari and with Karl Lagerfeld as creative director, refused to let this beautiful piece of history fall to ruin, so they personally pledged over 1.4 million pounds to restore it to its former glory. After disappearing under a cloud of scaffolding, the fountain was drained of its water so the work could be completed, finally after 16 months of hard work, the monument was finally unveiled last week, looking as good as it ever was, even adding a new transparent walkway so visitors can get a much improved view combined with the installing of LED lighting for stunning evening illumination. 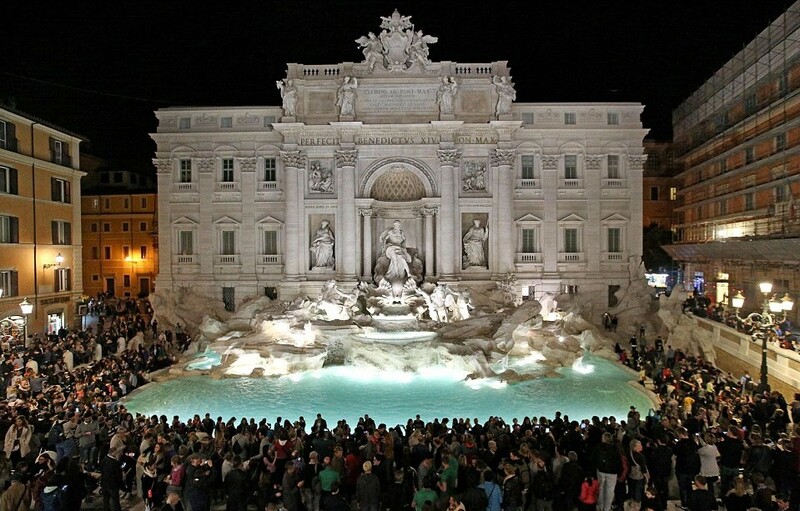 Finally, the emerald water began flowing once again, ensuring the long standing tradition of throwing coins into the fountain, which legend states, results in a return to Rome. It is estimated a staggering 3000 Euros a day are cast into its waters. 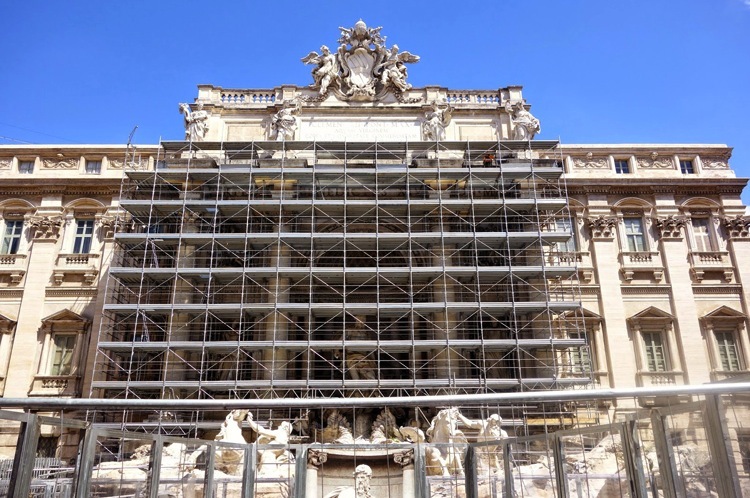 Their work is said to continue under their ‘Fendi For Fountains’ scheme, securing the preservation of other historical fountains over the coming years. 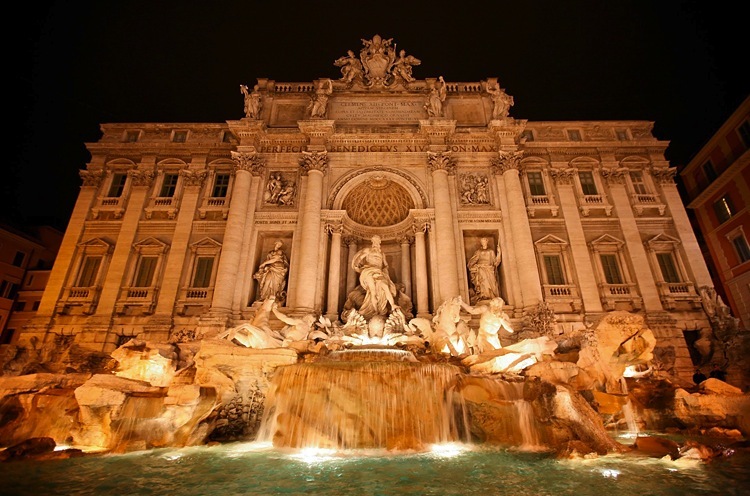 Their goal is to give something back to Rome, describing its relationship with Rome and the fountains as a love story. 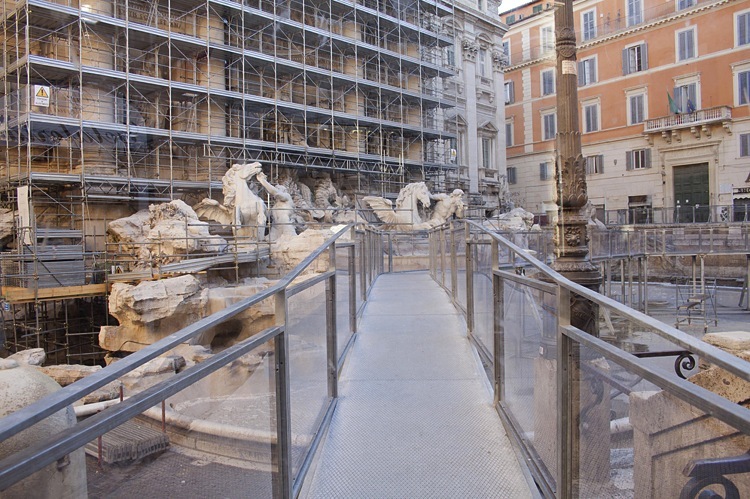 What do you think about Fendi’s resurrection of the Trevi Fountain? Are you happy that something like this took place, marrying fashion, heritage and architecture?